Carlisle Air Automotive’s highly trained, ASE certified technicians use state of the art leak detection, and refrigerant identification equipment to assist in diagnosing your vehicle’s air conditioning system. We use the industry’s most proven technologies including Electronic (several brands and models), Ultraviolet detectable dye, Halide, and Nitrogen charged component submersion. The ASE certified technicians inspecting your vehicle are air conditioning specialists with no less than 10 years of experience. With every diagnosis performed at Carlisle Air Automotive, a computer generated estimate is provided to the customer. It details the repair process including the necessary parts and labor. Identification of leaks in your system can save you costly recharging. Leaks in your A/C system can cause premature compressor failure. Have a professional diagnosis with a written estimate for comparison shopping. Key drop available for after hours vehicle drop-off. Today’s automotive electronic circuitry has more in common with the Internet than it does the simple electronics of vehicles in years past. 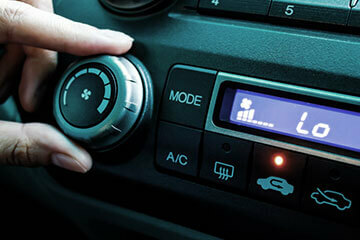 The climate control system has not been untouched by this change in the industry. Any common vehicle may have as many as 30 different sensors sending signals to several onboard computers responsible for acquiring the desired in-car temperature. Carlisle Air Automotive maintains state-of-the-art scan-tool diagnostic equipment to interface with the vehicles computer systems. This assists our technicians in their electronic diagnosis and repair. We have the necessary experience in electronic troubleshooting to repair any of today’s climate control systems. With the Alldata® product, our information specialists can access over 1.1 million pages of technical data and factory service bulletins, empowering the technician with the information necessary to repair the vehicle right the first time. Proven diagnostic techniques for step-by-step troubleshooting with trustworthy and timely repair. Trained technicians with the skills to diagnose and repair the most complex problems. Alldata® Certified Information Specialist capable of accessing up-to-date technical data for diagnosis and repair. To better serve our community, we have two shops in San Antonio; 6411 San Pedro Ave and 1291 New Laredo Hwy.